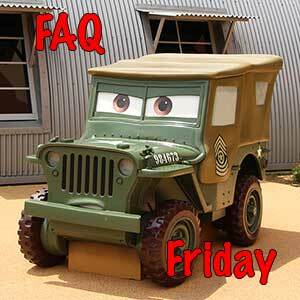 This post is part of our Frequently Asked Question Series in the Disney Armed Forces Salute Ticket FAQ section. The Disney’s Armed Forces Salute offers huge savings on theme park tickets and resort rooms to those Service Members who are eligible to participate. Do I have to use my Disney Armed Forces Salute tickets all at once or on consecutive days in a row? No, you absolutely do not have to! You can certainly use them every day until they are finished, or you can spread them out over a longer vacation while taking a day or two off, visiting Universal Studios, Sea World, or Legoland. You can even use some days on one trip and the rest on a later trip as long as it is before the Salute offer period ends. The current Disney Armed Forces Salute ends on 19 December 2019.
can I go back on my 2nd or 3rd visit without my military sponsor? Yes absolutely. the Disney Armed Forces Salute room discounts are unlimited in the number of trips and the ticket limit is 6 per offer period. So if your spouse has tickets left in this offer you can use them. Oh also if you mean on a partially used ticket the answer is yes too. ok, so if I have a 3day hopper pass and went on the first day already I can go day 2 and day3 without my military sponsor? I just realized my name is on the ticket, do I just show an ID or it doesn’t matter because they’ll just scan the bar code? No ID or sponsor required, it will now act just like any other ticket kg. Do you know if this rule changed for 2018? The gentleman at MWR today said that the Armed Forces Salute ticket days need to be used with 14 days. We had been hoping to use one day next week and the remaining days later this year. First you did buy Disney Armed Forces Salute tickets, right? not the Regular Military Discounted Magic Your Way Tickets? The Regular Military Discounted Magic Your Way Tickets are much more expensive. You have never, ever (since they started in 2009) had to use the Disney Armed Forces Salute tickets within any time period except by the end date of the offer. In this case 19 Dec 2018. He was stating the rule for the Regular Military Discounted Magic Your Way Tickets, which are an entirely different product and do have to be used within 14 days of first use. I need some help! You have SO much AMAZING information, but I am overwhelmed. 1. I am the only Service Member in my immediate family ( 16 Adults over 12, 5 Kids and 3 Infants) and am currently on ‘Inactive Status’/IRR with my National Guard Unit. I have “Veteran” marked on my State Drivers License, so I don’t think there will be any issue with my Identification as a Service Memeber. What is the best way to purchase Tickets to Disneyland for my family? 2. We are taking a Disney Cruise before going to Disneyland. Are there any Shuttle Transportation Discounts that could assist us in getting from San Diego International Airport to Manchester Grand Hyatt in San Diego and then from our Hotel to our DCL Port? Thank you for your time, assistance and expertise! As far as the tickets, that’s the tough point. 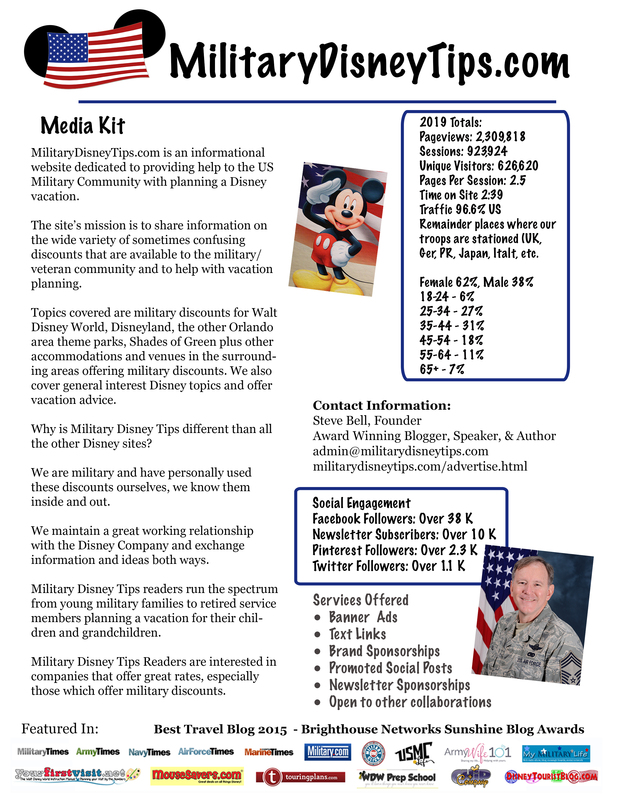 Disney, not being part of the military has always had a problem (as do most other companies) with stating plainly in military terms, just who is eligible for their discounts. I discussed this with them in the past, knowing they are sending a confusing message. But when they state eligibility on their site as: “”Eligible Service Members” are active or retired members of the U.S. military, including the National Guard, Reservists, …” they mean current participating members. In fact the messaging is better now than in the past when it just said “Eligible Service Members” are active or retired members of the U.S. military…” which still (they though by using “active”) included the participating Guard and Reserve. The IRR has never been eligible for the Disney Armed Forces Salute, because they are not participating in the military, they have gone back to civilian life and just have to keep their uniforms. A current valid military ID of the right type/status is required for the Disney Armed Forces Salute (a driver’s license won’t do). Disney is looking for a valid CAC for the member or a spouse or retired ID. Now let’s look at solutions. All in the party 3 and older will need a ticket. Adults 10+ and kids 3-9. So you are looking at potentially 21 tickets. The limit for the Disney Armed Forces Salute is 6 tickets. Note, there is only one Disney Armed Forces Salute ticket for ages 3+. 1. You could roll the dice and see if when you get to Disneyland the person handling your transaction will mistakenly sell you 6 Disney Armed Forces Salute tickets. But you will still have to buy the 15 full price tickets at that time. 2. Or if you have access to and can enter a base and their ticket office, buy the Regular Military Discounted Disneyland Tickets there ahead of time if they will let you. These are only slightly discounted though. You could either do 15 or 21 at that time, depending if you are going to roll the dice or not. It might be worth it to roll the dice as the potential savings is big on those 6 tickets and the price difference between the Regular Military Discounted Disneyland Tickets and the full price is not large. All kids should have this type (regular military) as the Salute tickets present more “potential” savings for adults. How do you find out how many days are left on your Military tickets? I have at least 2 days on them and heading down this evening.